For larger applications that mandate rear coupler access, SMP designed the RTS series rack mount cabinets. With 24 to 48 port capabilities, the RTS rack mount cabinet is ideal for easy contractor installations offering the convenience of a sliding tray that operates both forward and backward. 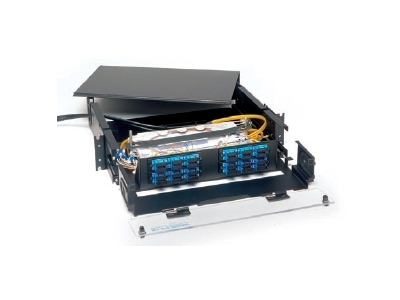 Each cabinet is built to be a strong, durable, high-density, patch and splice solution for fiber optic networking. SealTite Pro Kit by Greenlee Textron Inc.